What a day out! I humbly consider myself to be a bit of an amateur foodie, attending all the new restaurants plus food and wine festivals around the country over many years. When a birthday outing was required for my partner, I was after a casual yet professional small group tour of a high standard yet value for money. After all, being local, we could have just visited the sites on our own- I wanted the day to be much more than a simple day trip. 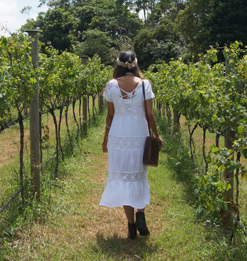 Mount Tamborine Wine Tasting Tours was the perfect choice! Leading up, Cheryl was prompt and forthcoming with answering all my questions and giving ample detail about inclusions and opportunities along the way. She was more than happy to accommodate my special requests in light of the birthday occasion. On the day, she turned up on time in a modern and luxurious company vehicle, making the journey between stops very pleasant. We had a wonderful day, and it was made all the more pleasant with her knowledge, advice and company along the way. Her manner was so comfortable she felt like one of the group, rather than a tour guide! All the owners and staff at each of the stops knew Cheryl and were expecting us, so it felt like we were being introduced to new friends, not on a paid tour. 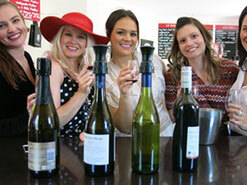 I would not hesitate to recommend Mount Tamborine Wine Tasting Tours to anyone at all. Whether you're looking for a romantic outing, an educational experience, a special occasion or just to see our wonderful Hinterland highlights, this is honestly the tour for you! Cheryl provided a wonderful day touring Mt Tamborine wine country for my partner and I and my parents. Class A all the way. She picked us up on time (actually she was early) in a very comfortable vehicle. Her selection of wineries was perfect as was her choice for lunch. 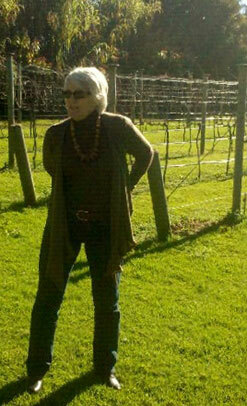 Besides knowing the wineries and the people who run them, she also knew the flora and fauna. What a great day out don't miss this one when staying on the Gold Coast, Mt Tambourine is just beautiful! Start off with the distillery tasting Schapps and Vodka then onto some beautiful wineries, lunch just long enough to still be coherent (try the Rose) then onto cheese tasting and beer sampling. Cheryl delivered us back to our door in Surfers with our goodies feeling so relaxed, what more could one ask. Thanks Cheryl for a most enjoyable day we had a ball!! What a great day out don't miss this one when staying on the Gold Coast, Mt Tambourine is just beautiful! Start off with the distillery tasting Schapps and Vodka then onto some beautiful wineries, lunch just long enough to still be coherent (try the Rose) then onto cheese tasting and beer sampling. 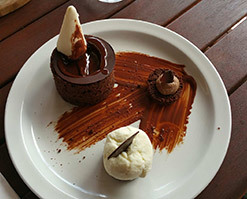 Cheryl delivered us back to our door in Surfers with our goodies feeling so relaxed, what more could one ask. 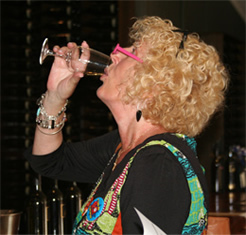 I had such a great time with Cheryl for the very first wine tasting in my life. Cheryl is very professional and friendly. She picked us on time and has been very informative throughout the trip. It was such a wonderful experience at Gold Coast with this wine tasting experience. Cheryl truly represents how friendly and nice Aussie are. Highly recommend and she will not let you know!!!!!!!!!!!!!!!!!!!!!!! Pick up at our front door in lovely vehicle. Cheryl was informative, professional and lovely. 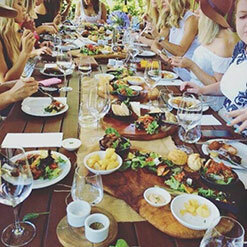 There were four of us women so it was really fun and we saw all the great places on Mt Tamborine & enjoyed a beautiful lunch also. Highly recommend this day out for people of all ages. Great day and well worth the money! Had a great day out with Cheryl! It was well worth the money spent and was a good way to see alot in one day. Would say if you can do it, go on a weekday as I could see how it could get busy. Enjoyed thoroughly by my mother and I.. Highly recommend! We had a very enjoyable day out with Cheryl. She went out of her way to look after us & couldn't do enough to ensure we had a great time. She is on very friendly terms with all the wineries and other businesses we visited. The first stop was the Tamborine Mountain Distillery for tastings and photos. Then off to two local wineries for some very interesting wines. The region is producing some very excellent wines. Lunch (& more tastings) was at Deli Vino before finishing up with local cheese and beer. Cheryl is professional, courteous and friendly. Her commentary was informative and interesting and her vehicle was spotless. 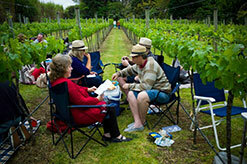 I wouldn't hesitate to recommend this tour to anybody who would enjoy an intimate wine tour. Cheryl picked us up right on time and we drove to Mr Tambourine. They started us off with a vodka shot and some delicious tastings at the distillery. 3 wine tastings later we were a tad drunk when we stopped for lunch (and we were all ever so happy). Everyone was so friendly and so knowledgeable with our many questions. Even though the 3 of us had different tastes in wines we each found something we loved at every place. Cheryl is a fantastic tour guide!!! We will definitely be back & making recommendations. Just a quick note , to thank you for our wine tasting day on Sunday. We loved the whole experience. Your knowledge and professionalism was wonderful. We hope to be able to do the trip again with you. You will certainly be recommended! Thank you very much for the wonderful tour you did for Kerry Copas and co on Saturday. I have spoken with Kerry and she said that they had a great time and that you were very lovely. So thank you for your assistance with the organising of this and for showing them a great day. Will recommend you to all our friends! Thanks for a great tour today, Debbie and I had a good time and will recommend you to all our friends! The highlight of the tour for us was visiting Michael at the Liqueur Distillery and the cheese tasting at the Brewery. We enjoyed visiting the Wineries too. We would be interested in the Cheese making workshop when it comes around and will keep our eyes open for any future dates. So we got home safe and sound and had an amazing time while we were in Mount Tamborine. 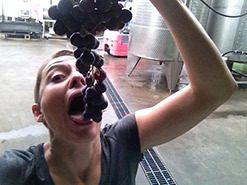 One of our fondest memories was going around the wineries etc. with you and we're so glad we got someone like you to take us around. Your awesome. You will see us in the future, until then keep well and enjoy yourself. Thanks for all your time and for ensuring we had a unique and special day. Thank-you so much for our lovely day. We had a great time on Friday and have learnt so much from you. We went for drinks last week and we were much more professional in our wine choosing. Thanks for all your time and for ensuring we had a unique and special day. Many thanks for our fabulous day out. Did not realise that I could fit in so many activities, have so much fun in one day. Tour groups are not usually my thing but personalised smaller ones in our case, worked a treat Congratulations on your friendly and professional tour. I was thrilled with our lunch, food only exceeded by the fabulous views from the Tavern. I will be delighted to take my family on a return visit when next out from Hong Kong. 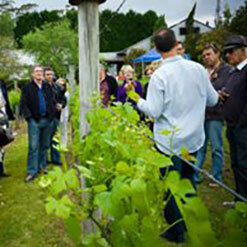 Just like to touch base to let you know how much we enjoyed your informative tour of the Mt Tamborine wineries. 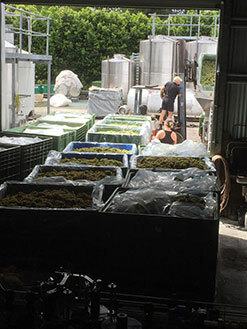 We commented that your knowledge of the region and the wine styles enhanced the tour without being over the top, which allowed our group to enjoy each others' company. Lunch was perfect and was just what was required after wine tasting. Once again, thanks for the personalised service and catering to our requirements. Living in northern NSW, I had no idea that such an exciting destination was only 2hrs away! I can highly recommend the 'Tamborine Wine Tours' to anyone wanting to visit this area. Cheryl, our guide, was fantastic. Her knowledge and professionalism made it a wonderful experience for us country bumpkins. We'll definitely be back!. Fantastic way to rediscover our own backyard. We will certainly be back. Really enjoyed sampling wine from the boutique cellar doors. Would recommend the tour. Robin & Grant, Gold Coast. 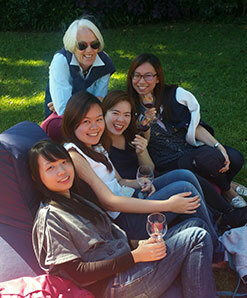 We had a fun girls' day out and wanted to thank Cheryl for organising such a great day. Cheryl even helped us with our precious cargo - "wine purchases". Can't wait to do it all again. This is our first visit to your country. What a spectacular & beautiful area. Only such a short drive from the Gold Coast beaches. We were treated to the best of everything. Cheryl was most generous with her time, allowing us too many attractions that weren't listed on the itinerary. We particularly loved the Verdelho. Bobby and Sullen Rawson, USA. The region is lucky to have you! Michael and I wanted to thank you again for a wonderful tour, you're a superb hostess and the region is lucky to have you! By the way, please do let me know your 'twitter tag' (It's @winetours33) so I can let other people know how great you are!